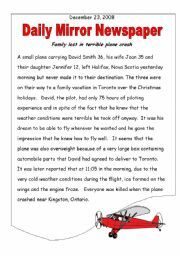 Canadian/Israeli - We have 9 different levels ranging from grade 7 non-readers to grade 9 high level kids. That is the reason my wss are so different. I love this site and all of you fantastic - dedicated teachers. Kids will love coloring it! 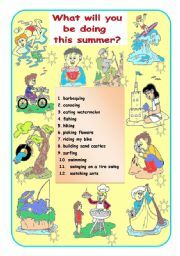 Great activity for the last days of school. Fun ws that can lead to talking about "Future" or discussing likes and dislikes. 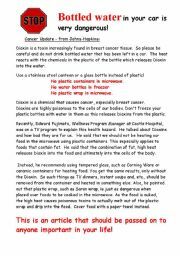 Danger - Don´t drink water from a bottle left in your car! This is an article that should be passed on to anyone important in your life! It talks about dangerous toxins and cancer when heating food in plastic. 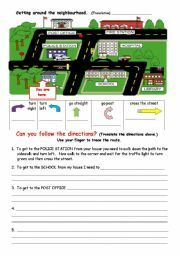 Fun ws for teaching directions such as: turn right, turn left etc with room for translation. 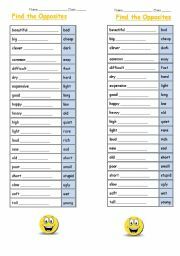 2 on a page worksheet fun for kids to practice "opposites". I´m teaching some grade 7 non-readers/ very weak pupils and prepared some mini wss. They can also be used as mini quizzes. The kids told me that they love the mini wss because they are less "scary". 2 for the price of 1 for those with photocopying limits. This is a reading comprehension text about Mark Twain with questions. Great activity for the last days of school. Fun ws that can lead to talking about "Future" or discussing likes and dislikes. Kids will love it. 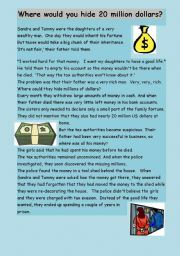 Where would you hide 20 million dollars? 2 Pages - Reading oomprehension text with questions. 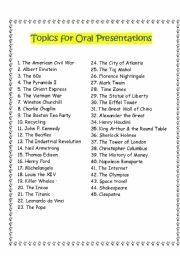 Here are 45 topics I use in my classes for Oral Presentations. I usually just walk through the class and randomly give each pupil a topic. They have to speak for 3-5 min. while only occassionally glancing at their written page. I also have a page called "How to do a successful Oral Presentation".